Last season, Patrice Bergeron missed 18 regular season games, one playoff game and had offseason groin surgery. In September, he disclosed he was dealing with back spasms. 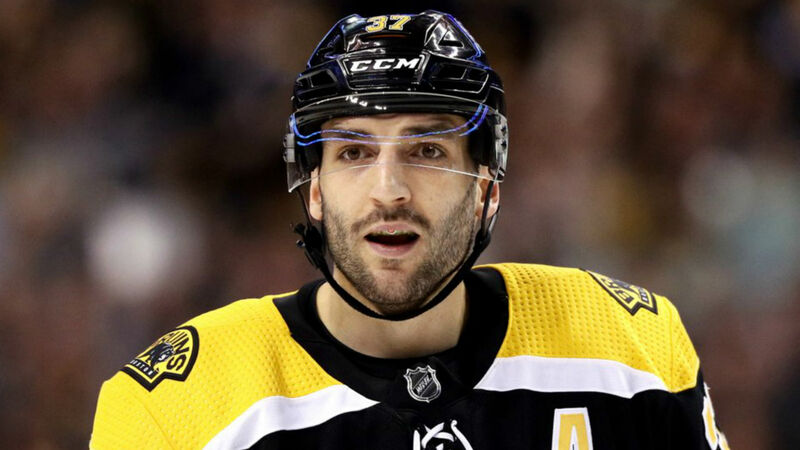 Questions obviously arose as to whether the 33-year-old center, who is now in his 15th NHL season, would be the Bergeron of old as oppsed to being an old Bergeron. After netting a hat trick in the Bruins 6-3 win over the Ottawa Senators on Monday afternoon, it’s fair to say, he looks just fine. Bergeron, who entered the game with a goal and an assist through Boston’s first two games, gave the hometown team a 1-0 lead just 30 seconds into the contest. After David Pastrnak drove to the net, Bergeron jammed in the loose puck while falling down. Questions arose as to whether there was goaltender interference, but the play wasn’t reviewed and the goal counted. Later in the period, with the Bruins on the man advantage, Brad Marchand fed a nifty behind-the-back backhand pass to Bergeron for the one-timer. His tally gave the Bruins a 2-0 lead. In the third period, not that Bergeron needed any assistance, but to cap off the hat trick he got a little help from Cody Ceci. The six-foot-one center carried the puck down the left wing boards and flicked the backhander on net. The puck went off of the Ottawa defenseman and past netminder Mike Condon to secure his fourth career hat trick. A healthy Bergeron picked up right where he left off. Last season, he had 63 points (30 goals, 33 assists) in 64 games before injuries set in. On Monday he became the first Bruin to record a hat trick in the home opener since Cam Neely in 1995.